What Race is this? hmmm? awesome, finally we will get an epic gothic game. is it possible to make the ships dissapear into a warp gate when they jump from planet to planet ? i think it shouldnt be too troubblesome to code or am i wrong ? I like it so far, good work, but i may add that the fixed weapons found on the side of cruisers, light cruiser, battlecruisers, heavy cruisers, grand cruisers, battlebarges and strike cruisers are in fact called "Macro Cannons" these use a linear accelorator to propel a projectile to near light velocities toward a target. the beam weapons shown in the video are more akin to Lance batteries. Would be great if after using exterminatus ability (just an idea :)) planet would change its type to desert or vulcanic, while the normal bombardment would be still just a tactical shots, not a total destruction, ofcourse thats just idea (propably hard to make) so i am just dreaming how great it would be. 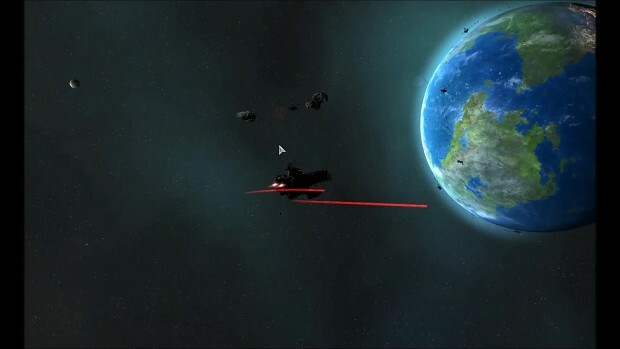 you know i dont think they ever done a space game RTS of 40k.. it could look something like this. Short video for just a slight tease.